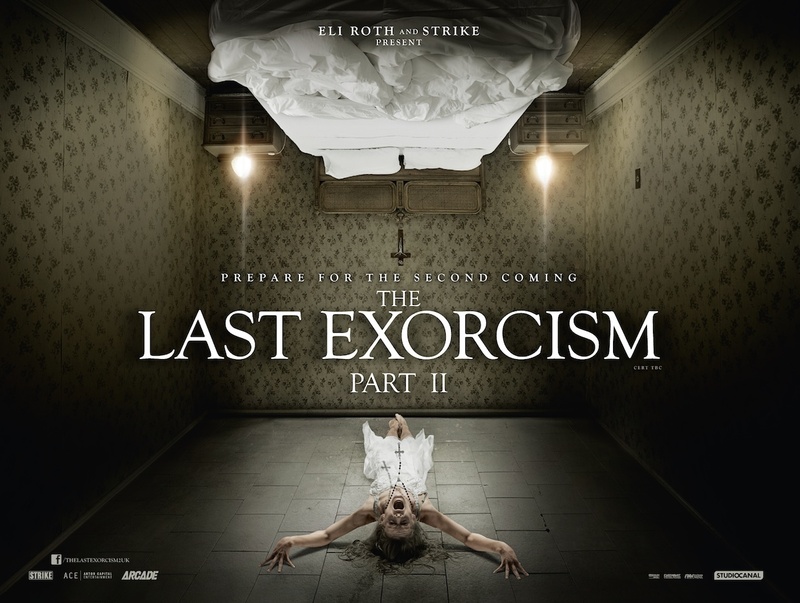 I quite enjoyed The Last Exorcism and was also one of the few people who actually loved the WTF ending. 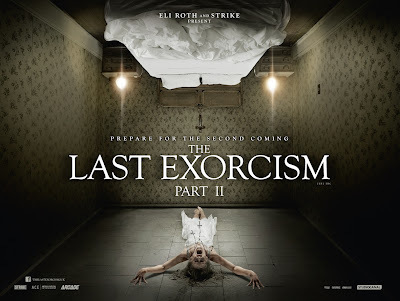 Surprised to see a sequel was in the works, can't say I even knew about it until I received an offer to maybe interview producer Eli Roth, director Ed Gass-Donnelly, and star Ashley Bell. Kind of missed the ball on that one, always so behind on my blog! The first film focused on a Preacher of lapsed faith who gets caught up in what could be a real exorcism. The sequel focuses on the possessed girl Nell Sweetzer who awakes with no memories of the events she has gone through and has to survive the demon wanting her body again. Sounds like it could be ok, maybe? I can't say I was taken with the trailer. Anyway it is due to be released in UK cinemas on the 7th June, I will be sure to check it out and stick up a review then!